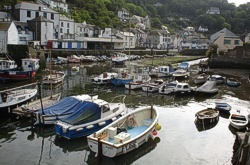 Snuggled into the cliffs of the South coast you'll discover the sleepy harbor town of Polperro. 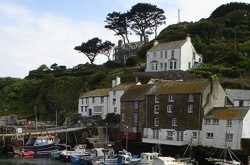 Although small, isolated and sweet, Polperro still boasts a fully functional fishing industry which has been the life blood of the town from before the 13th Century. During it's most industrious period, Polperro Sardines (or Pilchards as they were known) we salted, packed in barrels and traveled as far as the middle east, Mediterranean and Alaska. The streets that form 'The Warren' are winding, complicated affairs on many levels. They were once the home to the poor laborers and fishermen of the town, with crowded basements, chilly attics and sprawling dining areas. The local innes and pubs were a raucous experience, where we can expect a lone fiddler to provide the entertainment, as locals fought the cold with smuggled rum and brandy. These days, the old streets present a very different experience. The old net huts, hostels and innes have been converted into cozy historic cottages for holiday rent, gift shops and eateries. The old Sardine packing factory (a ramshackle building on the harborside) has been converted to an informative and lively museum. The low entry price affords several hours of investigation, exploration and enlightenment. Or, if the weather is bright and blustery, a walk along the Chapel Cliffs is highly recommended. The views across the rugged cliffs are breath taking, and feature precarious seeming walkways and paths through the towering walls of sheer granite. The more adventurous may wish to continue along the coast path to discover historic villages such as Lansallos or Talland Bay. Within moments of leaving the town you can often find yourself utterly alone. While wandering, you are likely to recall some of the ghostly tales presented in the museum. The coves, bays and harbors of the South Coast have seen many a ship wreck, lost hiker or phantom carriage. On, through the ground-sea, shove! Light on the larboard bow! And a sucking tide below. Let jib and fore-sail fly! Hurrah! for the light once more! Or the skulking gauger's dead! On! through the ground-sea, shove! And a sucking tide below! 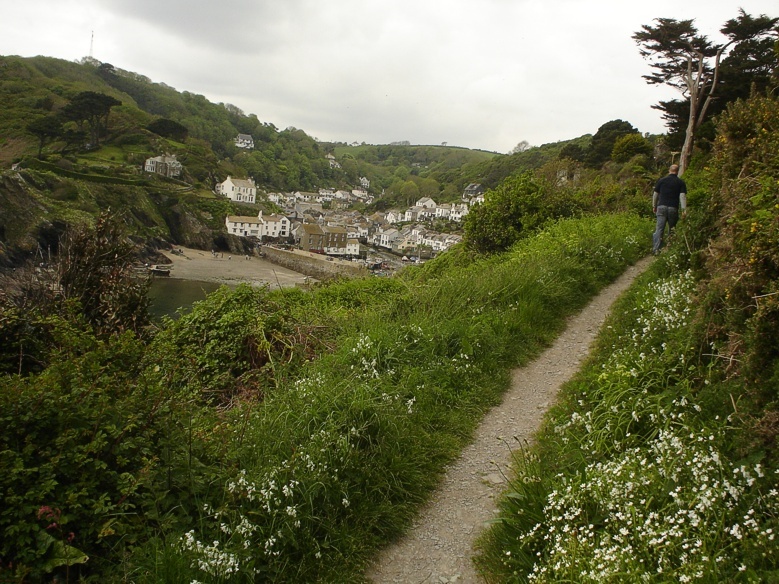 Getting there: Polperro can be reached by bus, car or walk from Looe. If staying in the area, it is wise to book a room in the town. The evenings are delightful, with most pubs offering good local meats and seafood and live music. Map interests: The museum, cliff path and 'Model Village' (a miniaturized version of Polperro) are all marked.